There’s nothing cuter than seeing your toddler take their first steps and before you know it she’s toddling around like no one’s business. A big milestone yes, but also a lot of fun and frights for parents! 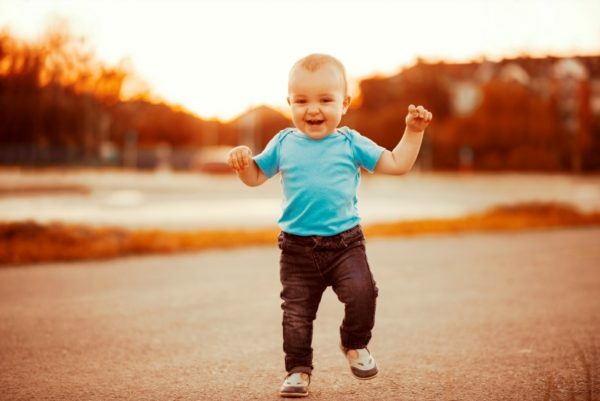 So brace yourself: here’s what you can expect when you have a walker on your hands. If you thought you were already nuts for taking photos and videos of your darling cherub before, then wait until she starts walking! You’ll be so proud you’ll want to record every step she takes and every move she makes. Often when the camera is whipped out they will fall over too, so you’ll need to hover over her like a paparazzi stalker. Don’t forget your baby has been watching you go around the house doing things like feeding the cat and sweeping the floor, so now that she’s upright and mobile she’ll want to ‘help out’ too. Sounds great right? Well, not when you consider she will eat whatever she sweeps into a pile, throw cat biscuits around the house like they’re confetti and knock things off shelves as she waves tall brooms and mops about. Once she can walk she’ll want to run, but they’re so new to the game and wobbly that inevitably they’re going to fall. A LOT. They haven’t worked out this spacial awareness thing yet either and will also be knocking into tables and walls. So you’ll be kissing boo-boos and buying band-aids like there’s no tomorrow. Initially, you don’t need to worry about putting your walker in shoes unless you’re going to be leaving the house, but when she is going out with you regularly then it’s off to the shoe store! Buying shoes that fit her properly, and can be worn for longer than two seconds can be time-consuming. Actually putting the shoes on also means getting out the door will take ages too. And when she’s having a tantrum in public, the first thing to go will be her shoes. Just try strapping her into the pram once she can walk – cue meltdown! It’s great that she wants to show off her skills but unfortunately, it means running errands or even a short walk down the road will take FOREVER. Going to the shops is pretty much the worst unless you can trap her in a trolley. And when she eventually gets tired (and she will) you’ll have to carry her AND the bags too. Even if she’s only walking very slowly, you’ll literally need eyes in the back of your head because when your back is turned she’ll be toddling off to goodness knows where and getting into all kinds of mischief. Just hope and pray your door handles are too high for her to reach. Has legs, will run. One minute they’re walking a few steps, the next she’s bolting down the street and on to the road. You’ll be running around shopping centres and parks like Wile E. Coyote chasing the Road Runner. Don’t be surprised if you have to regularly abandon your groceries at the check-out or conversations with people to catch her. On the positive side, at least you won’t need that gym membership! Did you find having a walker difficult? Share your stories with us on Facebook!